We’ve had a couple of people on the blog already asking whether or not this album would get a local release. And now EMI Australia has indeed officially confirmed that ‘Charm School’ – the brand new album from Swedish outfit Roxette – will see the light of day in Australia in February. After taking to the stage in Amsterdam as part of one of Per’s recent tours, and headlining the ‘Night Of The Proms’ tourMarie and Per hit the studio to craft the 12 sparkling pop numbers that will have fans of the band (and Swedish pop in general) salivating for more. The album’s first single is called ‘She’s Got Nothing On (But The Radio)’ – and given its Aussie digital release date of January 07, we’re assuming it’ll be at radio here most soon. ‘Charm School’, meanwhile, is set for an Australian release on Friday February 11. Awesome news!!! Can’t believe we will get the Album same day of release as other countries, now that’s what I’m talking about. 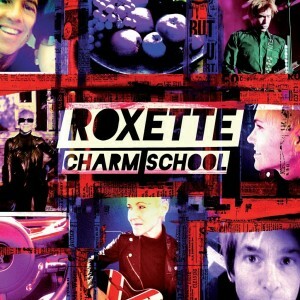 I loved Roxette in their prime and they still make good music. Can’t wait to hear the single! The most Amazing Band ever!!! This has been a long time waiting!! Great news! And great to see Marie back with Per after her brain tumour in 2002 and subsequent recovery. There’s a special edition version of the album being released with a bonus disc of 10 live tracks recorded earlier this year which is available via Roxette’s website. Wonder if that will be made available in Australia too? Fingers crossed we’ll see Roxette in Australia next year as part of their world tour. No announcement yet, but there’s some “Australian sized” gaps in their schedule so we’ll just have to wait and see!